During the Battle of Normandy, journalists, photographers and cameramen were accredited by the Supreme Headquarters Allied Expeditionary Force (the SHAEF) with the mission of covering events and following the troops as closely as possible to the fighting. In times of war, war correspondents have to be on the spot in order to report on events in different media: written reports, photographs, filmed sequences or even drawings. Correspondents have to face the dangers of combat while describing events as objectively as possible and without giving away any strategic military information. Information concerning military operations is in fact censored, and only official statements issued by military authorities and supplied to press agencies may be disseminated. On 6 June 1944, very few journalists had received accreditation to follow the Allied troops during the first phase of the enormous enterprise of liberating Europe. Robert Capa , working at that time for American “Life” magazine, was among the selected photojournalists. He was to follow the troops landing in the zone christened “Omaha beach”. Equipped with a small, sturdy Leica camera Robert Capa landed with the first wave of the assault at about 6am. He took dozens of photos while under fire in the midst of extremely fierce fighting. An anecdote has gone down in history about a laboratory technician in too much of a hurry who made an unfortunate mistake while developing the films, leading to many of them being lost. Today eleven world-famous pictures survive, taken in the heart of the action. Robert Capa often used to say “If your pictures aren’t good enough you aren’t close enough”. There is a memorial stone to Robert Capa next to the Memorial Museum of the Battle of Normandy, a reminder of his journalistic work covering the events in Normandy in summer 1944 and also more generally the work to which he devoted his life until he was killed in 1954. 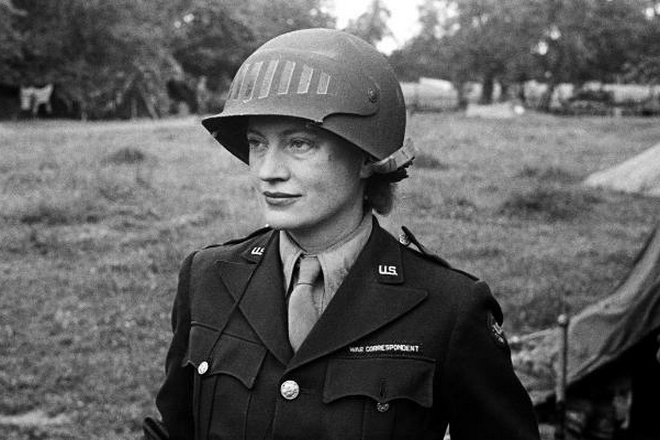 The former model Lee Miller was the only woman to obtain US forces accreditation as a war correspondent, from 1942. She reached the Normandy front in mid-June 1944, equipped with a portable typewriter and a rudimentary camera. She published a report in the August 1944 edition of British Vogue magazine entitled “Unarmed Warriors” which is still famous. In it she described in emotional terms life in an American evacuation hospital set up in the fields just inland from Omaha Beach. Tribute is paid to her in the space dedicated to war correspondents in the Bayeux museum. 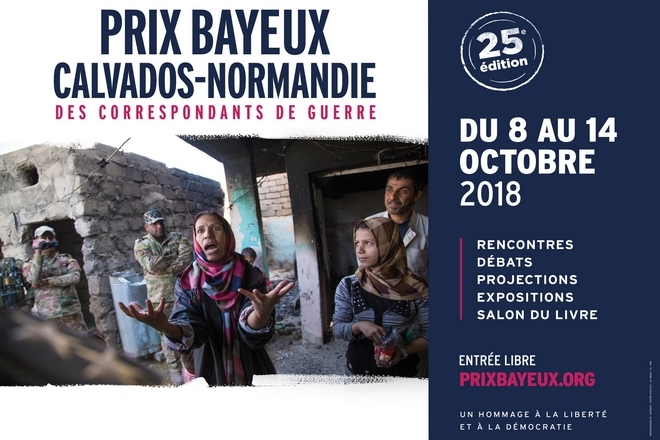 The War Reporters’ Memorial garden in Bayeux , unique in Europe, is a landscaped promenade punctuated by white memorial stones bearing the names of over 2,000 journalists killed throughout the world since 1944.